John Bytheway was born and raised in Salt Lake City, and he served his mission in the Philippines. Following his mission he attended the University of Utah, and later graduated from BYU. John has taught the Book of Mormon at Brigham Young University, and the BYU Salt Lake Center since 1996. In 2003, he earned a Master’s Degree in Religious Education. He is the author of more than two dozen books and CDs many of which, he says, are effective non-prescription sleep-aids. He loves to golf, write, read, and play the banjo and guitar. John is a founding member of the local chapter of the Andy Griffith Show Re-run Watchers Club, and does a “spot-on” impersonation of Deputy Sheriff Barney Fife. John was recently released as the bishop of the Salt Lake Winder 10th Ward. John and his wife Kimberly have six children and a completely full SUV which doubles in value when it’s full of gasoline. Cathy Jolley is in her 28th year of teaching Junior High School choral music. She began playing the piano at the age of 4. But singing and choral music was her first love having been taught and trained by Linda Anderson in California. Dr. Ralph Woodward was her idol and mentor at BYU. She was a member of the first A Cappella choir to tour Europe. After raising her children to be teenagers, she went back to BYU to finish her degree in Music Education working there with Dr. Donald Ripplinger. She first started teaching choral music and co-teaching Musical Theater at American Fork Jr. High, then Mountain Ridge Jr. High and now at Timberline Middle School. Her choirs have never received less than a superior rating at District Festivals. The choirs are consistently between 60 and 100 students each. She is active as an adjudicator and guest conductor in Utah and Wyoming. She has also conducted the choirs for the General Young Women and General Relief Society meetings for the Church of Jesus Christ of Latter-Day Saints. From 1999 to the present she has served as chairman for the Utah State Jr. High Honor Choir. She has musically directed over 20 musicals for regional and community theatre in Utah and California. She and her husband Doug (also a teacher) have 5 children and 11 grandchildren. Andrew Hall, age 18, is a senior at American Fork High School. He recently received a mission call to the Fiji, Suva LDS Mission and will be leaving shortly after graduating from high school. In April, Andrew sang with and accompanied his school’s chamber choir as they performed in Carnegie Hall. He is also a jazz pianist in the Advanced Jazz Band. This year, Andrew has been part of a piano quintet, Pentasuite, that received honors in the Utah Symphony Youth Guild auditions. The group also received high marks with their performances of the Schumann and Shostakovich Piano Quintets in the Fischoff Chamber Music Competition held in Indiana. In addition to his piano studies, Andrew takes voice lessons and has been a church organist for the last six years. He has participated in Encore Ensemble, Solo and Concerto Festivals since first grade and is consistently chosen to participate in honors recitals. Andrew is the goalie on his varsity high school soccer team. In 2013, Andrew performed with Young Pianists International throughout Tokyo, Japan, including a performance at the Toho Music School. Andrew studies with Carmen Hall. Miriam Wagstaff, 16, lives in the small town of Tropic on the rim of Bryce Canyon Nat'l Park and currently studies violin and viola with Prof. Monte Belknap. Her previous teachers are Dr. David Dalton, Denise Willey and Megan Cottam. Miriam performed the Dávid Viola Concerto with the Utah Symphony as the All Star Evening soloist in 2016. Most recently she soloed with the Lyceum Symphony Orchestra in Libby Gardner Hall, March 2017. She has soloed repeatedly with the Lyceum Orchestra programs, Utah Valley Symphony, the invitational Vivace Concert and at LobbyFest. She has also soloed with Southwest Symphony Orchestra and Orchestra of Southern Utah. She was awarded 2nd place in the online Great Composers: Mozart competition. Awards in 2016 include 4th place Utah Div. Int'l Stradivarius Violin Competition and 3rd place Enkor Online Int'l Violin Competition. 2015 awards include 1st place Utah Baroque Ensemble Scholarship Competition and Honorable Mention Nat'l ASTA Solo Competition Jr. Div. Viola. Masterclasses include Paul Coletti, James Dunham, Bradley Ottesen and Natalie MacMaster. Miriam attended Meadowmount School of Music and Idyllwild Chamber Festival, both on full scholarship. Miriam is also an award winning fiddler. Cheryl Qian, 10, from Cedar Hills, is a 5th grade student at Cedar Ridge Elementary School. She started her piano lesson with Carmen Hall when she was 6 years old. She currently is a student of Dr. Irene Peery-Fox. Ever since Cheryl started her piano journey, she's won awards in various Encore (Music Teacher Association) competitions including Solo Festivals, Concerto Festivals, Ensemble Festivals, etc. In the annual Encore Keyboard Competition, she won 2nd place in 2014, and 3rd place in 2015. She won 1st place in both the Classical category and the Romantic category in the 2015 Salt Lake Piano Competition, and 1st place in the Romantic category again in the 2016 Competition. She tried for the Utah Valley Symphony Young Artist Audition in 2016 and was selected as one of the finalists. Besides piano, Cheryl also plays the flute. She loves reading. She was on a cheer team for many years, and is currently on a dance company. Makenzie Ann Hart, age 14, studies violin with Eugene Watanabe. In 2014, Makenzie was featured as a solo violinist during the General Women’s Meeting of the Church ofJesus Christ of Latter-day Saints. She was seen by millions around the world playing her violin. In December of 2015, Makenzie and her family were invited to perform a private Christmas concert for the First Presidency of the LDS Church at the Administration Building in downtown Salt Lake City. Last year, Makenzie performed as a soloist in the Salute to Youth concert at Abravanel Hall with the Utah Symphony. She is a current member of the Gifted Music School Conservatory in Salt Lake City. Makenzie performs often with her family on Temple Square and around Utah. She has performed as far away as India, Brazil, and China. Makenzie’s dream is to someday study the violin at a music conservatory. If you hope to listen to someone who loves to play the piano, Jayden Monson is your man. Jayden started playing piano at age 9. He actually disliked it for the first two years and didn't practice much. But following sixth grade, when Jayden and his peers were challenged to go a month without participating in any media, he realized he enjoyed practicing. Since then, his skills at the piano have soared. He loves music of all periods and enjoys playing each. He loves listening to his music while he hikes and camps to find inspiration while in nature. Jayden also spends his time at school studying math and physics. He is an eagle scout and loves to work and play hard. He loves helping others and sharing his talents. Jayden is super happy to be playing with the TSO and is excited for you to hear Muczynski's first piano concerto. He hopes to share his love of music with you. Sophie Choate (16) began violin with Linda Duncan at age 5, adding viola at age 10. 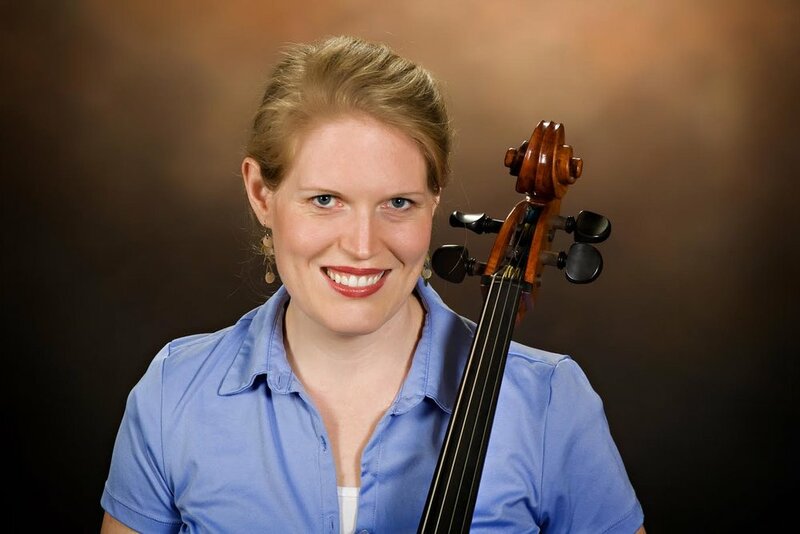 As a Suzuki graduate, she studied both instruments with Dr. Elizabeth Wallace and played viola in the Gifted Music School’s Conservatory Program for two years. In 2015, she received Honorable Mention in the Utah Symphony’s Salute to Youth Competition. Last summer she attended Interlochen Arts Camp on full scholarship, where she performed in the Advanced String Quartet Program and as rotating principal violist of the World Youth Symphony Orchestra. Sophie spent the previous two school years in Versailles, France; there she excelled in public school and received highest honors at the conservatory on both violin and viola. Last fall she performed on viola with the Utah Valley Symphony as a winner in their Young Artists Competition. This summer she will be touring Latin America as violist in the full-scholarship National Youth Orchestra, sponsored by Carnegie Hall and the Weill Music Institute. She currently studies viola with Dr. Claudine Bigelow and piano with Joanna Oshida, and she sings in Timpview High School's A Cappella and Madrigals choirs. Sophie loves photography, travel, and languages. She is fluent in French and studies German, Italian, and ancient Greek. Dora Meiwes, 12, is the oldest daughter of Georg and Alessandra Meiwes and lives in Salt Lake City. She is a sixth grade student at WasatchElementary. In 2011, she began playing the piano and studied for three and a half years with Professor Vedrana Subotic. She is currently a student of Professor Irene Peery-Fox. Dora won second place in the Young Elementary Concerto Division at the 2015 University of Utah Summer Arts Competition. She was thrilled to play Haydn last year with the American West Symphony, as that was her debut performance with an orchestra. She also placed second at the Encore Keyboard Competition. This year, she won third prize at the UMTA Concerto Competition, and for two years in a row, Dora has won and performed in the Utah Symphony Youth Guild Recital. She is extremely delighted to be performing with the Timpanogos Symphony this year as part of their Aspiring Musicians Competition. Dora’s favorite things to do are play piano, read, go to school, and spend time with family and friends. Collin Moore is a Senior at Lehi High School. He currently plays in the High School Chamber Orchestra, Wind Symphony, Jazz Band, and has served as a drum major for the Lehi High School Marching Band. Collin also conducts the High School Symphonic Band. His primary instrument is bassoon, though he also plays piano, cello, saxophone and trombone. He plans to attend Snow College after serving as an assistant conductor for The Battalion Drum and Bugle Corps and serving a full time LDS mission. Collin has performed with the Utah All-State Orchestra and The Utah Wind Symphony Youth Ensemble, and is very excited and grateful for this opportunity to work with The Timpanogos Symphony Orchestra.